Washington Hawthorn is an attractive ornamental shrub that is dense enough to plant as a privacy screen. It produces clusters of white blooms in late spring to early summer. Washington Hawthorn's red berries last throughout winter, bringing squirrels and birds to your property. In the fall, its foliage turns beautiful orange, scarlet, or purple. One of the most overlooked trees on the prairies. 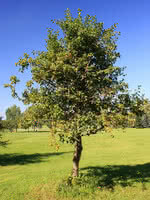 This tree is often used as rootstock, a wildlife attractor, or a boulevard hedge. Give this one a second look. This species is also known as one of the more salt-tolerant species for those with saline soils. 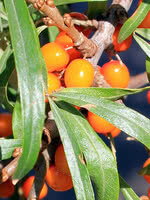 Please note: this plant is poisonous to dogs.